Less than three weeks after airing the Season 2 finale, FX has canceled The Bridge. The show's producers are seeking other options for the series to continue elsewhere, but it isn't known if any networks or streaming services are interested at this time. Shine America, one of the companies that produced the series, offered the following statement regarding FX canceling the series. "We thank our partners at FX for their tireless efforts in developing and launching The Bridge with us. From its fresh, unique voice to its deep and diverse ensemble cast, this is a series that we are all very proud of." 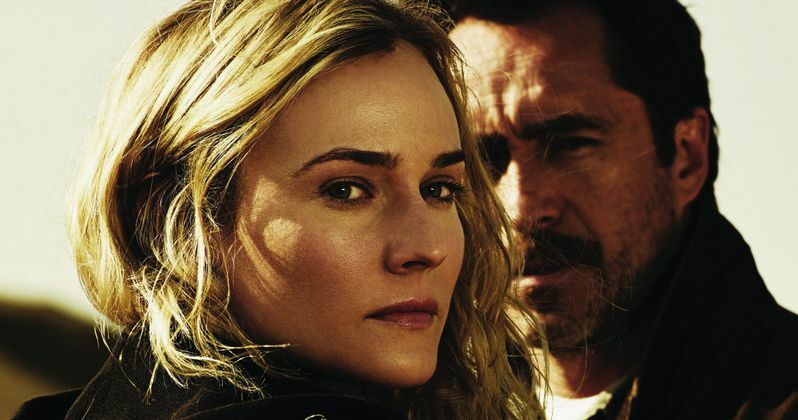 The series starred Diane Kruger as El Paso, Texas detective Sonya Cross and Demián Bichir as Marco Ruiz, her counterpart from Juarez, Mexico, who worked together to find a deadly serial killer. Ted Levine, Annabeth Gish, Matthew Lillard and Emily Rios rounded out the main cast. The Bridge was never a massive ratings draw, but it was consistently one of the top performers in DVR playback numbers. Season 2 debuted with 1.5 million viewers tuning in, but the show, created by Meredith Stiehm and Elwood Reid, regularly dropped below 1 million viewers in the back half of Season 2. The series did earn a Peabody Award earlier this year, but it was never nominated for an Emmy or a Golden Globe.